"Provocative...This book is a challenge to any reader. It raises questions about how we live on this planet and with each other that the Western mind and culture will not be able to ignore for too much longer. It also raises questions about the nature of reality; of time, space, energy and the true nature of humanness. It opens the door to a very serious redefinition of life as we know it." Esteemed professor of psychiatry at Harvard Medical School and Pulitzer Prize-winning author John E. Mack M.D. 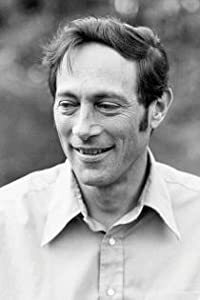 (October 4, 1929 - Sep 27, 2004) spent his career examining how a sense of connection develops across cultures and between individuals, and how these connections alter people's worldviews. His best known book on this theme, for which he won the Pulitzer Prize in 1977, is A Prince of Our Disorder, a biography of British officer T. E. Lawrence (who became known as Lawrence of Arabia). He also interviewed political leaders and citizens of the Soviet Union and Israel/Palestine in the study of ethno-national conflict and the Cold War.